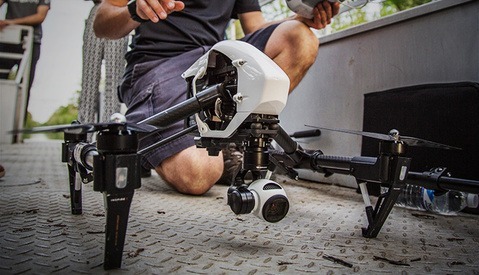 Camp 4 Collective, known for their high-end commercial and adventure productions, recently got to work with a pre-production ALTA Drone, made by the guys at Freefly (best known for making the MoVi.) Here is the behind-the-scenes video, with the final video inside the full post, and some more background information from Director Renan Ozturk. You could spend all day watching the action-packed, visually stunning shorts that Camp 4 has been making the last few years, and they just continue to produce top-level video projects. 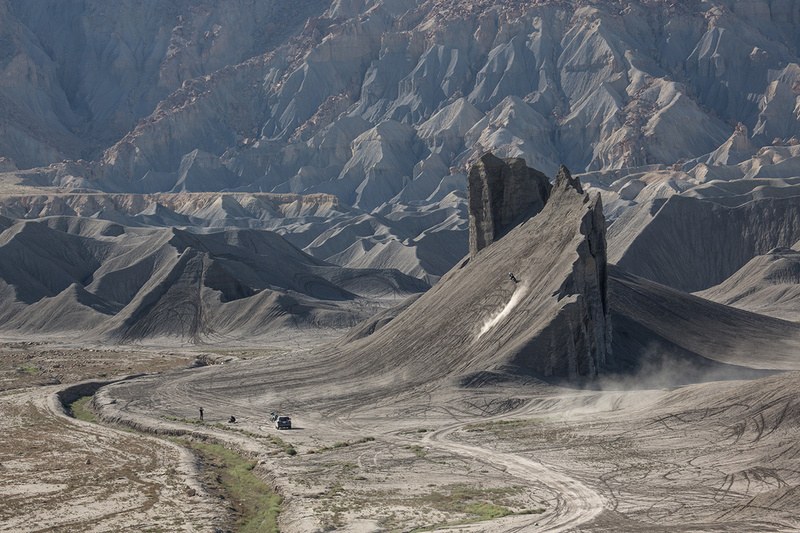 It's that kind of work that got them in with Freefly to take a pre-production ALTA for a spin for the project below. When Camp 4 expressed interest in testing out the ALTA for a project, Freefly jumped on board, with the video below being the final result. One of the challenges they faced for this shoot was the sand being kicked up and getting into delicate camera equipment. With such a tight schedule though, they had to press on because there really wasn't much time to take things apart and clean them. 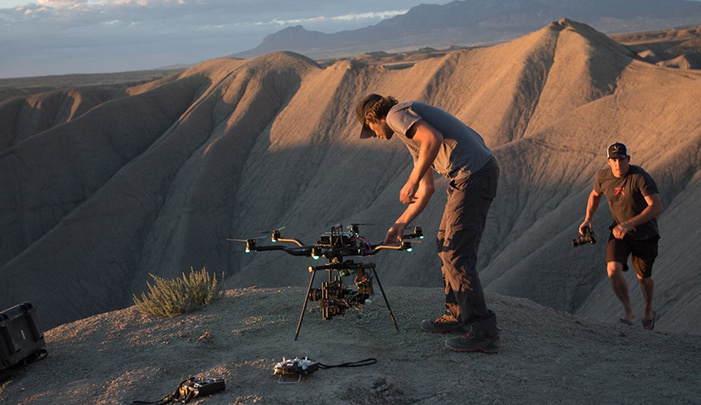 I spoke with Renan Ozturk, Director at Camp 4 Collective, and he shared with me that they just shot in the dust and wind, and after shooting well into the night, everything amazingly still worked in the end. We shot until 3am and then collectively just passed out in the dirt with the ALTA, REDs, computers etc all just sitting there in the blowing dust and wind. It was certainly pushing a little too far over the edge... It was a true combat test for the setup all around. With a Carbon Fiber RED Dragon, they were able to save on the weight and use heavier lenses, but later decided to use a Canon 24mm. Renan explained why they made that choice. 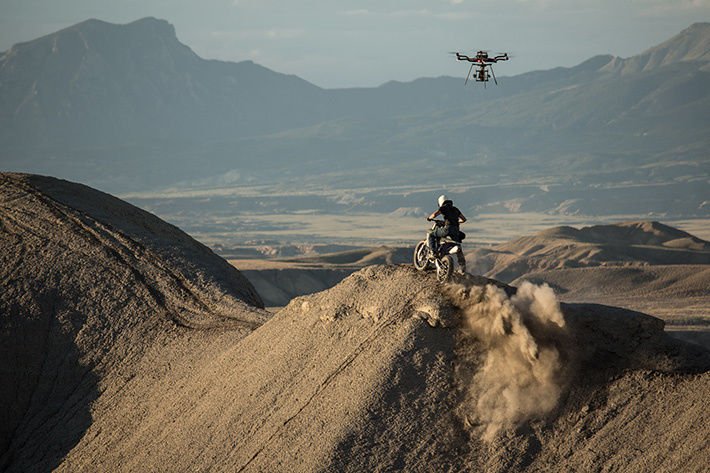 For this shoot we were lucky to have the support of RED to be able to fly a Carbon Fiber Dragon, which saved us a pound off our payload and gave us the ability to fly an Angeniuex cinema lens, something that wasn’t possible with such ease in the past. Most of the shoot we actually choose to fly a Canon 1.4 24mm L series prime, just to get longer flight times and be able to do more dynamic moves. I asked Renan how this shoot came together from a production planning standpoint, and besides having a few key overhead drone shots in mind, they originally intended to create an entire narrative. 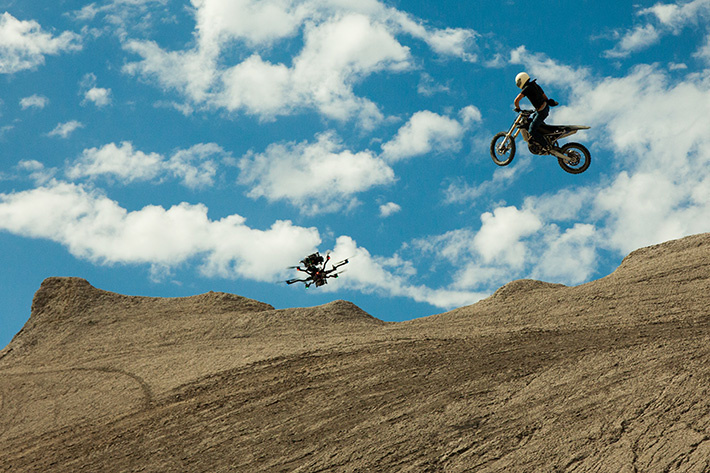 We certainly had a few big looking up shots with the riders flying over the camera in mind going into it but once we got there the possibilities became endless. Actually we had a whole narrative planned out but ran short on time... We would still love to revisit it all in the future now that we know the location and characters so well. Besides a potential follow-up edit to the Swing Arm City video, Renan is excited to get the ALTA into the mountains, and shoot a subject matter that he is all too familiar with; rock climbing. His creative juices are flowing and he already has a specific shot in mind. 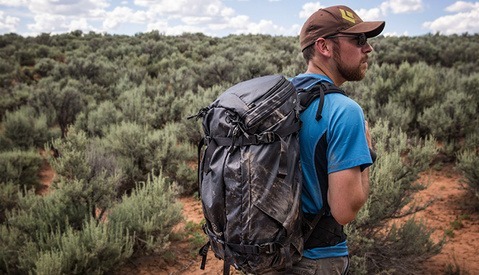 I'm really excited about it personally since a lot of my projects cover remote expeditions where you can't bring a full drone crew and things have to be packable and turnkey. 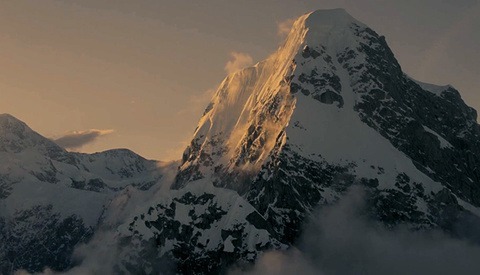 I'd like to take the ALTA to the Himalaya for high end aerials at high altitudes in those majestic seldom seen places. There are some looking up shots of climbing on big rock faces that are in order! Having the camera rushing up toward the climber then match cutting to the same scene looking down is a sequence I think would be really powerful. Does anyone know whats the name of that smoke machine/cannon ??? ?